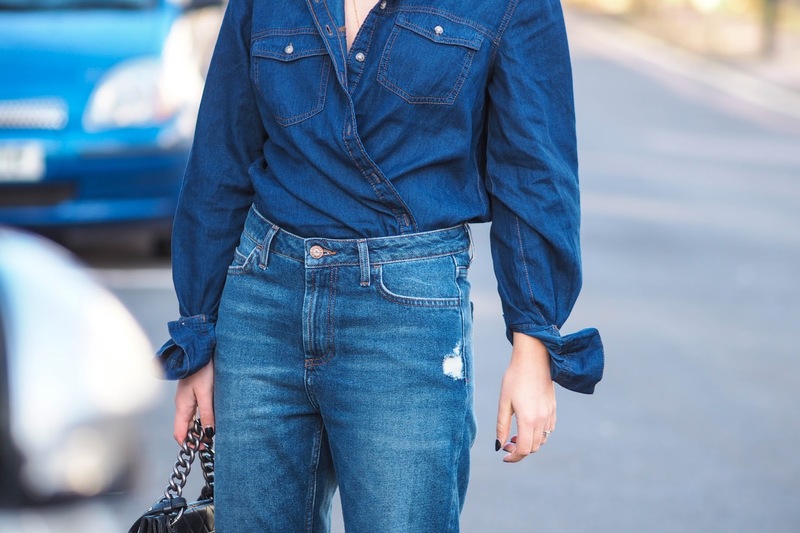 Wearing denim on denim is tricky-when I think of doubling up on my denim I think of a typical two tone outfit of denim consisting of a boyfriend shirt and skinny jeans. I've put two outfits together with New Look in today's post and when putting the outfits together I've tried my best to stay away from the stereotypical way of styling denim as I want to give you some new ideas when it comes to combining your denim together. I've taken the trends into consideration in my first outfit. Yes I may of combined a denim shirt and jeans but I've chosen a pair of straight cut boyfriend denim with a frayed hem. These jeans are from the petite range (28 leg) which means when they say they're cropped, they really are cropped! I've wrapped the double pocket denim shirt over each other and rolled and knotted up the sleeves to give the shirt a little character. See LookDepernille for inspiration! What do you think of this look? 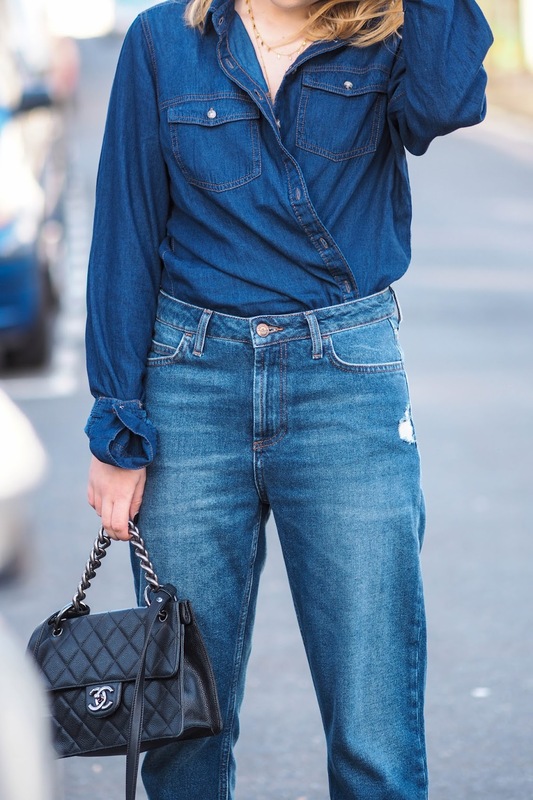 I'll be the first to admit I'm not a dress kind of girl, I'm much more comfortable in jeans but with that said I wanted to show you how you can double up on your denim in two different ways. 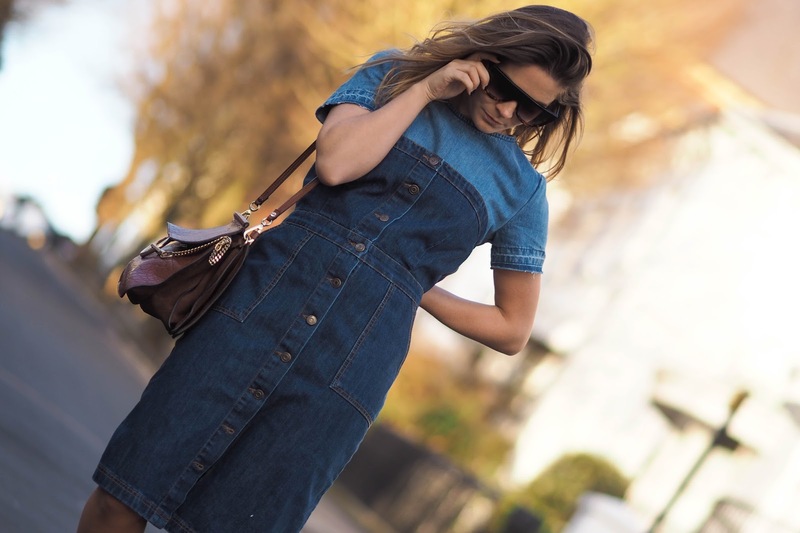 This denim midi pinafore dress is the perfect piece to layer, whether it's under denim, a breton stripped tee or underneath a roll neck it is super versatile. I popped this frayed hem t-shirt underneath the pinafore dress and I love how contrasting the two washes are against each other.